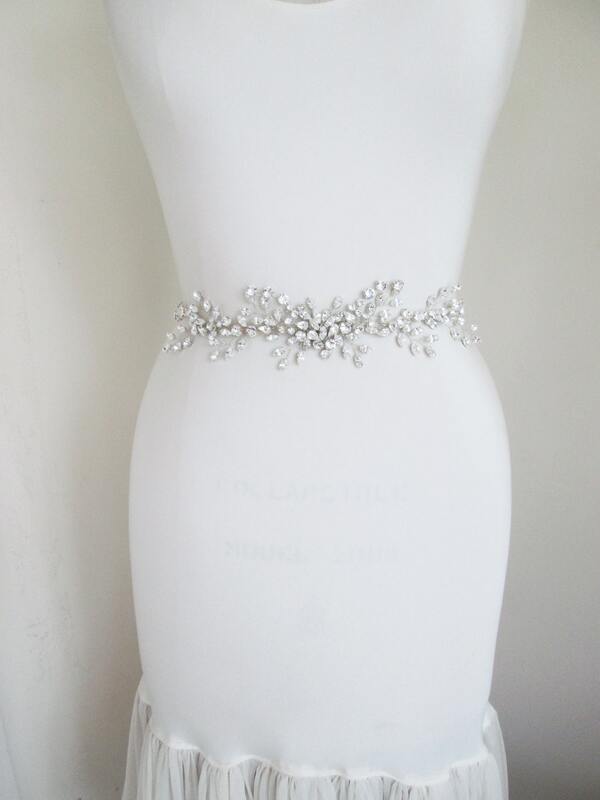 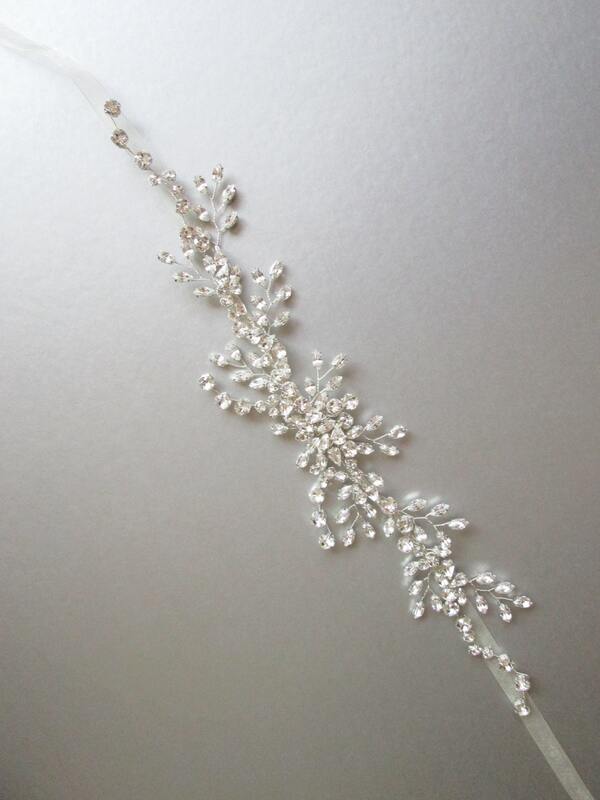 This delicate romantic belt is made with Swarovski crystals twisted into this intricate design. 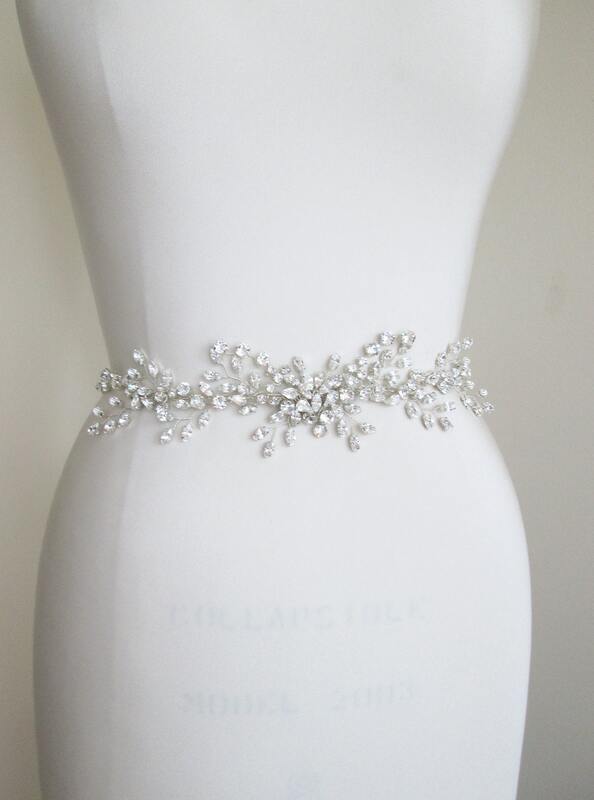 This belt measures about 14" long and 2 1/2" wide in the center. 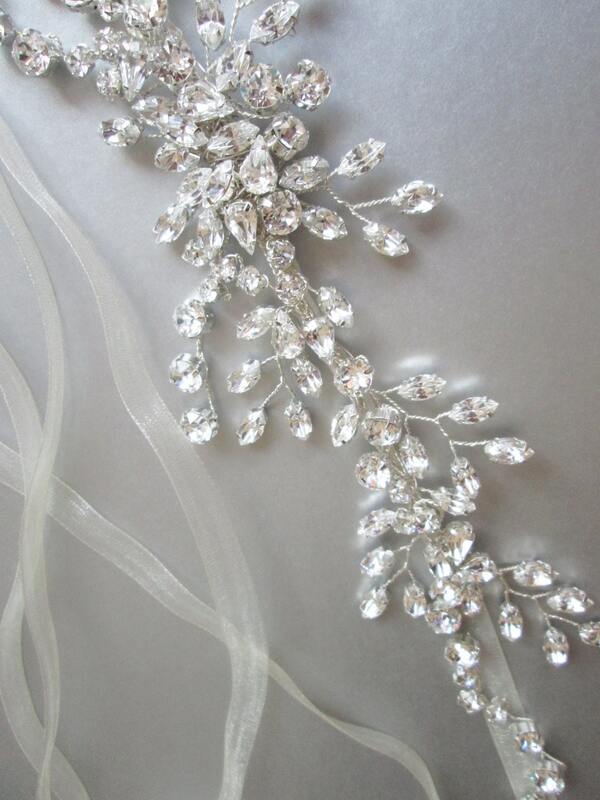 It is attached to sheer organza ribbon measuring 3/8" wide and 150" long. 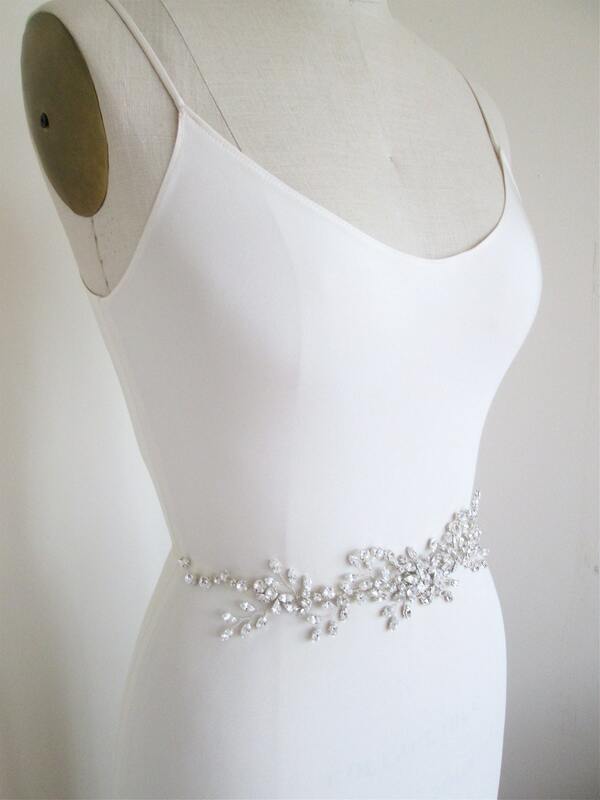 This belt comes in gold, silver or rose gold finish.